One thing I love about social media is that it brings the world closer. Being a keen photographer, my favourite platform is Instagram…I love the community feel, and you get to “meet” some fabulous people through their images. 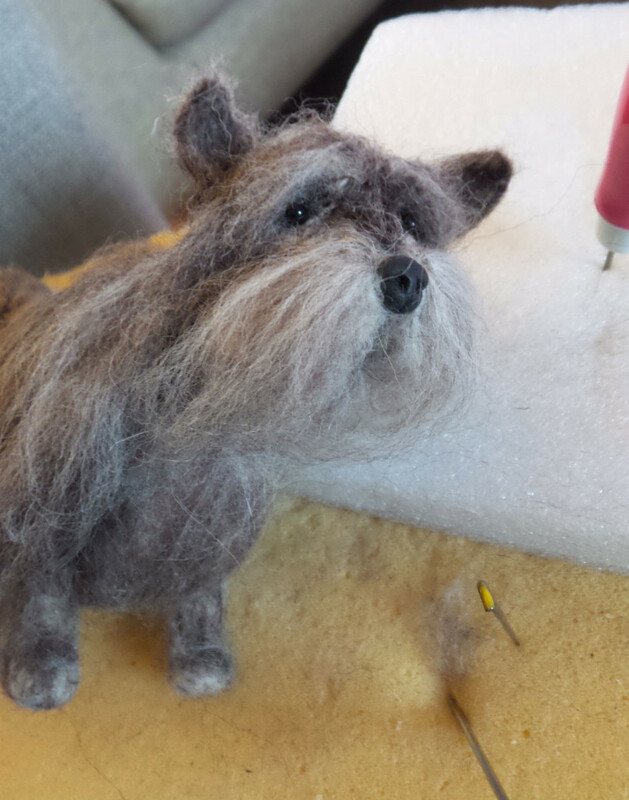 One such person I have met is Alison Rumbles…a needle felt artist based in Scotland! 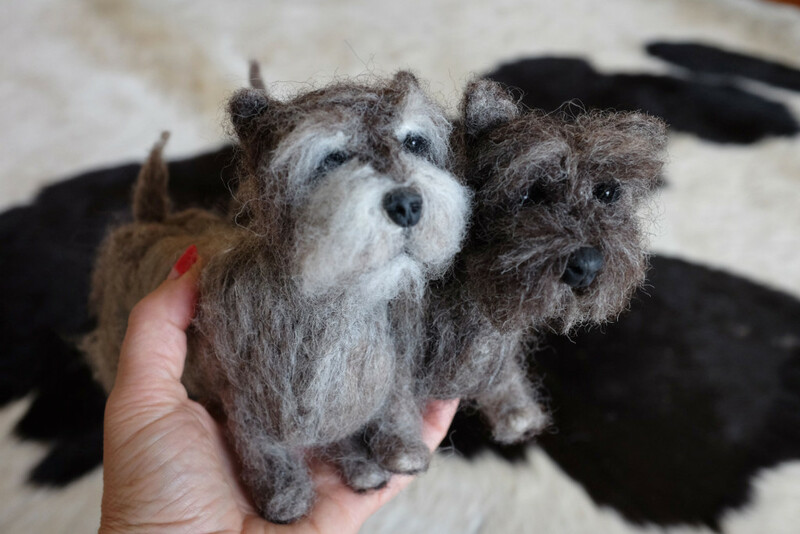 I discovered her IG account early last year and immediately began to follow as she specialises in bespoke felt dogs. 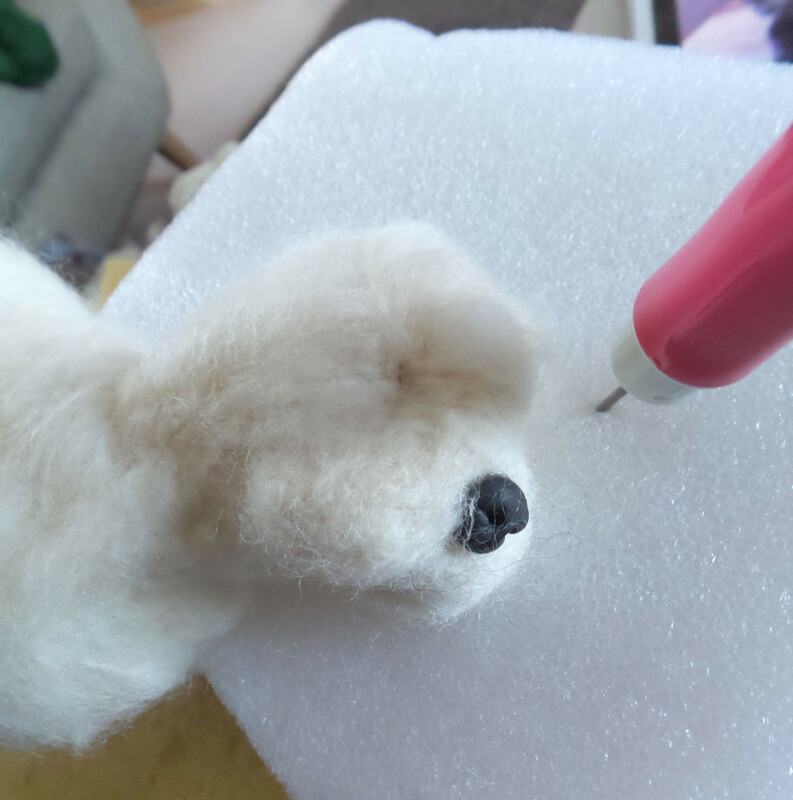 I have no idea about needle felt is done…all I know is that it includes a barbed needle and wool. 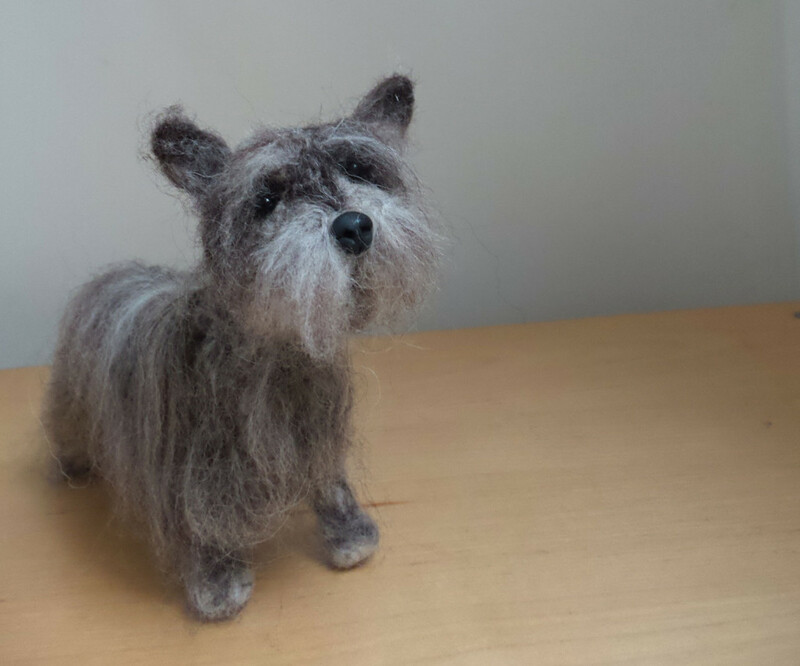 Before she begins creating a dog, Alison carefully researches it’s size, characteristics etc and is able to bring it to life through needle felting. I was able to put my name down on her waiting list way back in March to get our two Cairn Terriers done…and after waiting with excited anticipation, I got the message in mid November that our two were up next! Having our two made in Scotland was extra special as Cairn Terriers originated in Scottish highlands and is one of the oldest terrier breeds. As I was fascinated with the whole process, I asked if she could send me some images of the them being made….which she kindly did. 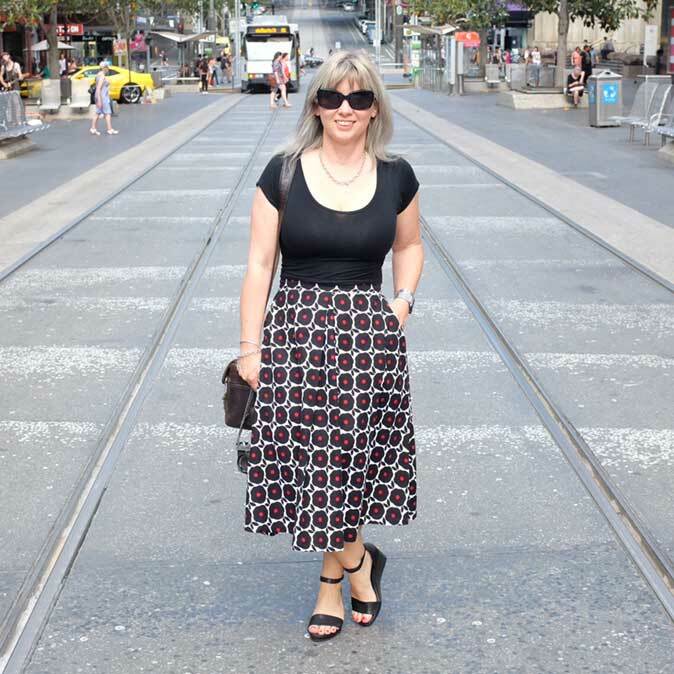 Here is an image of one of them before the brindle wool is added…. 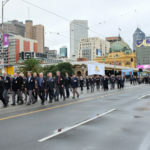 Then at the beginning of December, I got the news that the felties had been packed up and had started on their long trek to Melbourne! When I picked up the parcel, I was really worried as it had somehow got squashed, so it was with great relief that I found they had both survived the journey. 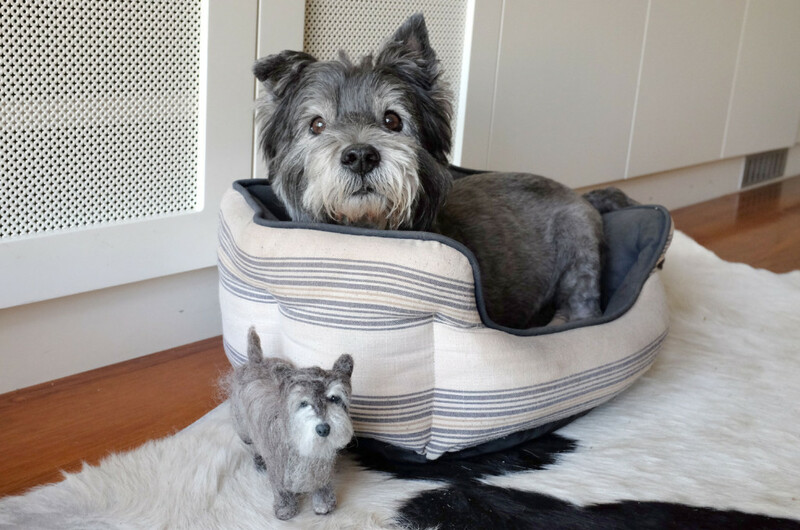 Here is Bill with his mini-me…. Here is the little Miss with hers…I couldn’t get a good shot of her with it as she kept trying to run off with it! 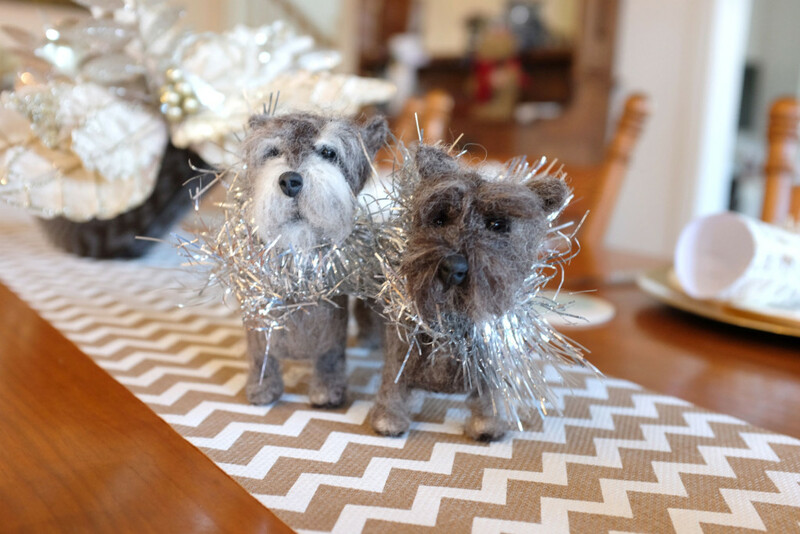 And they arrived just in time for Christmas…they had pride of place our Christmas table, complete with tinsel collars! 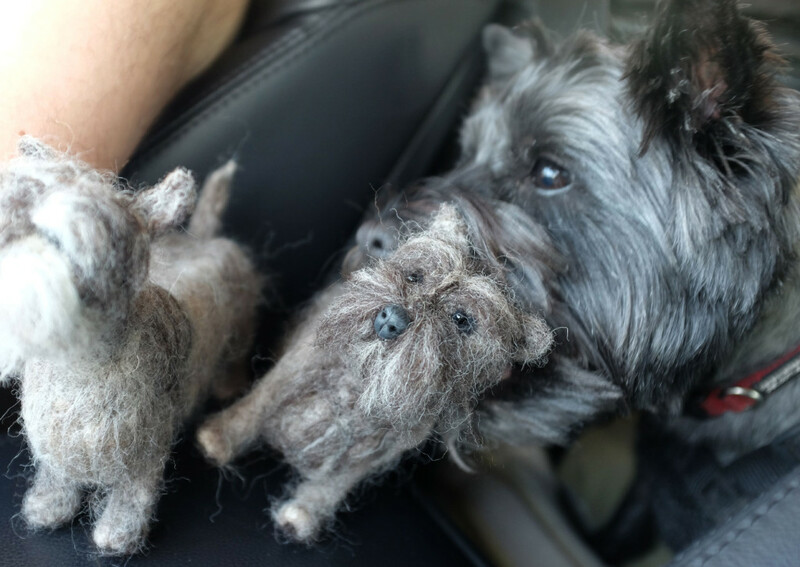 I am so glad we have been able to imortalise our beloved furkids as felties…just look at those cute faces and perky tails! 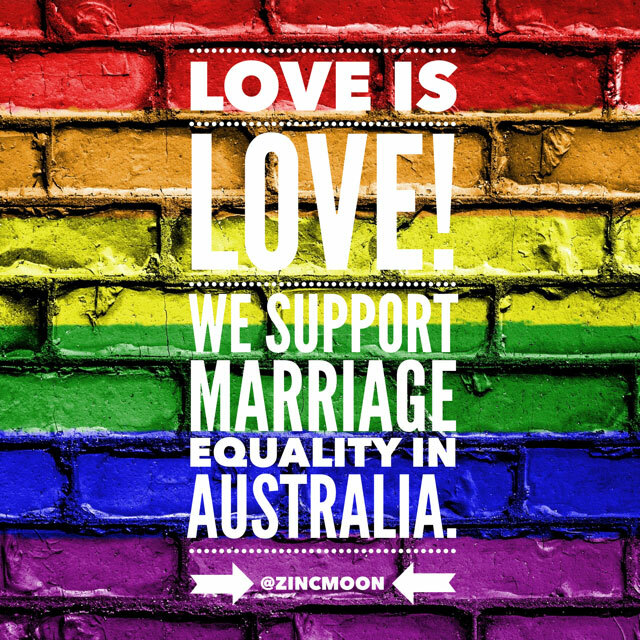 If you want to check out Alison’s work, head on over to Instagram and look for @alisonjrumbles – you will fall in love with her creations like I did!